Donald Trump declares that it will be harmful for the Christian American majority if large influxes of Muslim minorities from all over the world enter the US. Having said that, there is an outcry on social media over only one of these xenophobic and bigoted statements, Facebook activists in Pakistan seem to be very selective about their humanitarianism. America is perceived as the devil for bombing other countries, but what about Pakistan? Isn’t the state bombing within its region? It seems acceptable for people to be bombed from the sky, as long as it’s the same state doing so. The drone strikes conducted by the US in Pakistan were ordered by the Pakistani state and was widely criticised. The hand that feeds you must be the one that chokes you to death. It’s ironic that the most fundamental duty of the state is meant to provide security to its citizens. The silence on the contentious issue of military operations within the country may be due to the fact that people are exercising caution when it comes to the subject, and are brushing it aside under the doctrine of necessity. If it makes us feel safe, a few innocent deaths can be set aside in the name of national interests and collateral damage. However, the US bombing other countries under the same pretence is not acceptable though. One would assume the religion of the bomber may have something to do with it. I do not believe in generalisations that claim that our nation is full of apathetic people, who are immune to violence as they accept such atrocities as part of their daily lives, yet my Facebook news feed seems to suggest otherwise. People are shedding tears over Gaza, Syria, Myanmar. 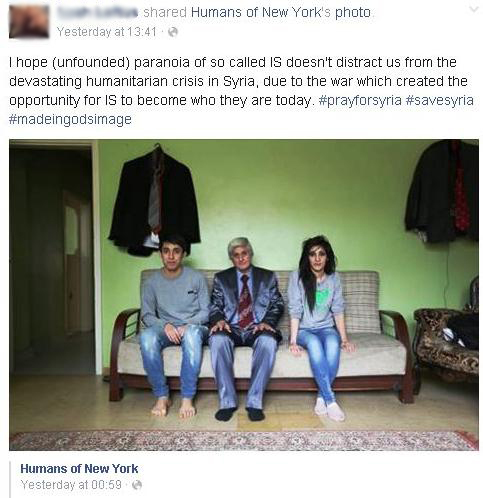 And there are Pakistanis lamenting over the grievances of Syrian refugees on the Humans of New York page. Pakistanis, known for their generosity, are willing to open up their homes to Syrian refugees, and are decrying Americans for not doing the same. Interestingly, this principle does not apply to Muslims much closer to home. If religion was the only factor that made most Pakistanis afraid of the ‘other’; the stereotypical immigrant terrorist flouted by Donald Trump, then why would there be such trepidations about Afghan refugees? Yes, Pakistan saw a huge influx of Afghan refugees during the Soviet invasion of Afghanistan, but we also saw a huge influx of American dollars given for accepting them and helping in rehabilitating those refugees. If the principle that the country who created the mischief must accept the repercussions is to be followed through, then Pakistan should at least partially take some responsibility for the violence and unrest seen in Afghanistan today, and hence, it must make sense for us to play a part in accepting Afghan refugees. Right? Unfortunately, we have never really assimilated them into the fabric of our society. 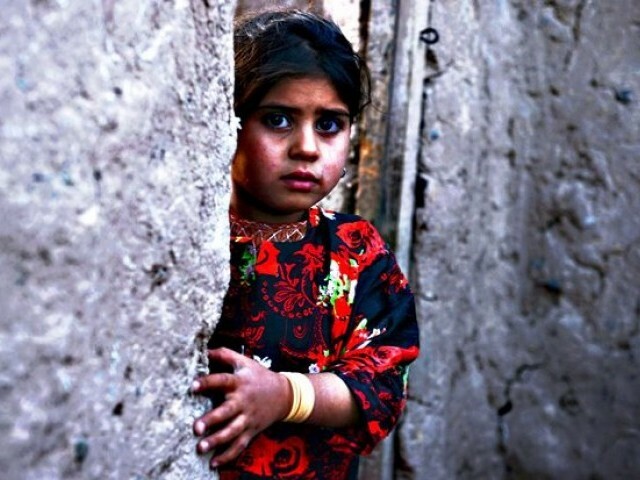 Second generation Afghan children born in Pakistan are still not considered Pakistani citizens. Our fear of the other is so strong that PML-N ministers in Punjab refused to accept IDPs in Punjab when the North Waziristan operation started. We are so consumed by the racism of Donald Trump that we are failing to realise the racism of similar demagogues closer to home. CDA statements sound very similar to Donald Trump’s; they contest that poor people in slum areas will come and destroy the beauty of the capital city of Islamabad. It is not even terrorism anymore; the argument now is that poor people will make Islamabad ugly. Maybe we dress up the Pakistani refugees as Syrian refugees, perhaps then there will be more acceptance towards them in Pakistan. Maybe, just maybe, then we can also raise our voices against the maltreatment that they have faced. Or maybe we are simply just very selective about our humanitarianism. Unless Humans of New York comes back and takes pictures of the katchi abadi protestors in Islamabad, the silence surrounding the issue, it seems, will continue. Sir, what Trump has said is a reality. It’s the truth. There’s no phobia, there’s no hatred, there’s no bigotry in that. Muslims, when you migrate to non-Muslim country, you act according to your strength. When in minority, you ask for jobs and rights. Slowly, increasing your population, building more mosques. Then you demand public holiday on Ramzan. But later on start the problems. Muslims contribute very little to the society they live in (be in majority or minority) and demand more and more. India is a fine example. Muslims make up a disproportionately high percentage criminals and disproportionately very low percentage of doctors/engineers. (if you don’t believe me, at least believe Teetsa Setalvad). Same in UK (http://www.bbc.com/news/uk-31794599). Same in Europe. Same in USA (http://www.patheos.com/blogs/friendlyatheist/2013/07/16/what-percentage-of-prisoners-are-atheists-its-a-lot-smaller-than-we-ever-imagined/). Nearly 8% Muslim prisoners in US, while US Musilm population is between 2-3%. And then, slowly you start demanding Sharia. And then a separate country. Muslims have shown a propensity towards crime and violence wherever they have lived. Nothing could be further from the truth, but you need to actually visit Attock, Peshawar and Kohat to know they were allowed to completely assimilate, without questions in all aspects of our society, where they introduced drugs, prostitution, organised begging and dishonesty in trade. I don’t understand this comparison. a) Because one wrong doesn’t justify another. b) 2.7 million registered and illegal Afghans according to some Pakistani officials. 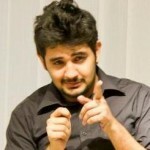 Many of your other points are valid though… but Pakistan has accepted a lot. As of 2012, 1.5% of Pakistan’s population were immigrants from Afghanistan. It’s OK for a country to close its borders at some point. Nope. This is the Banarsi Mullah. From the shores. of Mata Ganga. He was born this way. Not brainwashed. to the Hindutva philosophy and carries a bucket of ink from place. for your problems. So who is your main target of paid, vitriol? Muslims ! After all, they ruled you for 1200 years. Just a handful of Mughals, had an iron grip on millions of docile hindus. You are polite in your comment. But here is the truth about Afghans. What they do, in Pakistan. Here it is, once again, for the 50th. time. Bank robberies.Target killings. Kidnapping for ransom. Car hijacking. Home invasion robberies. Gun smuggling,[RAW involved]. Muggings. Human trafficking. Drug peddling. Aiding and abetting terrorists. No go’s. Aiding and abetting separatists. Religious/sectarian violence. Afghan Bastis. Power mafia. Water mafia. Land grabbing. Transport mafia.Land encroachment. Construction mafia. These are just a few of the things, just a tad, of what they do. Just scratching the surface……is this what Muslim do in the West? Their country is calling them. Need to go and rebuild Afghanland. I didn’t really get what you are referring to by “one wrong doesn’t justify another”, however I do not disagree with your second point being that Pakistan is hosting the largest group of refugee populations for more than two decades. And of because of that I can hold my head high. However what is disheartening to see, also pointed out by the author, are the efforts by Pak govt to send the refugees back to almost certain suffering if not death. It is not about closing our borders now, it is about sending these refugees who have been living here since years back. I think that is overwhelmingly callous. It seems Liberal sounding is the way to go! One has to open their mounts and spit out liberal crap, simply to be counted among them. Maybe it will help with their visa applications, next time. Afghan Refugees have been in this country for 20 years. They caused so many problems for our society, as a whole, from Peshawar to Karachi, that it cannot be listed in this limited space. Yet, the Pakistani nation, generally made them a part of our society and did not shun them. Do not compare today’s Syria with today’s Afghanistan. Afghanistan is probably far better off, in most of its land, in terms of security, than Pakistan. The Afghani brethren, who are still Refugees and have not already become Pakistanis, must return to their lands. They came here are refugees, not for immigration. UNHCR does not require Pakistan to host them for ever. How do you know kdp is a Hindu? We all know what “race” is biting the dust now and is still lives in some dreamland paradise and false glories of past conquests. Says a guy whose country was the first one to get conquered by the same forces and mass conversions followed… yet those conquerors are your heroes. So lets not speak of who is docile or who is not because Rulers and people from what is India today have have ruled from Afghanistan to rest of the India many times in the history and had influence far reaching Indian boundaries . There has been no such personality from what is Pakistan today who has had an iota of impact on global forum or Pakistani history. Pakistan was rule by anyone who just walked by. All you are good a is claiming the conquest of others as yours. Since when did you start taking pride in your own subjugation. Your ancestors changed their faith either to avoid persecution or out of choice but that does not make them conquerors, you were as much conquered as the Hindus. INdia is there on Afghan’s allowing it.Go talk to Afghans,and convince them.And India is there for construction,not destruction. Someone who belong to a conquered race should not speak that much. you guys lost both your religion and land to foreigners. I do not understand, what you are trying to say? You want to say that its okay to ban refugees from entering American soil as Pakistan is doing so? Pakistan is hosting refugees for decades, Pakistan is not sending them back without consent of Afghan Govt and UN, has given one more extention. And at the onset of crisis, Pakistan opened its borders, at the onset of crisis US is closing… Compare an apple with an apple. It does not make sense to compare start of one crisis with mid of another crisis. Afghan refugees, I dont even call a crisis, they had a land to stay on and that land was Pakkstan.